The Eco-Living Expo is held at the Randwick Community Centre located at 27 Munda Street, Randwick. Access to the Community Centre is via Bundock Street, Hendy Avenue and in to Munda Street. 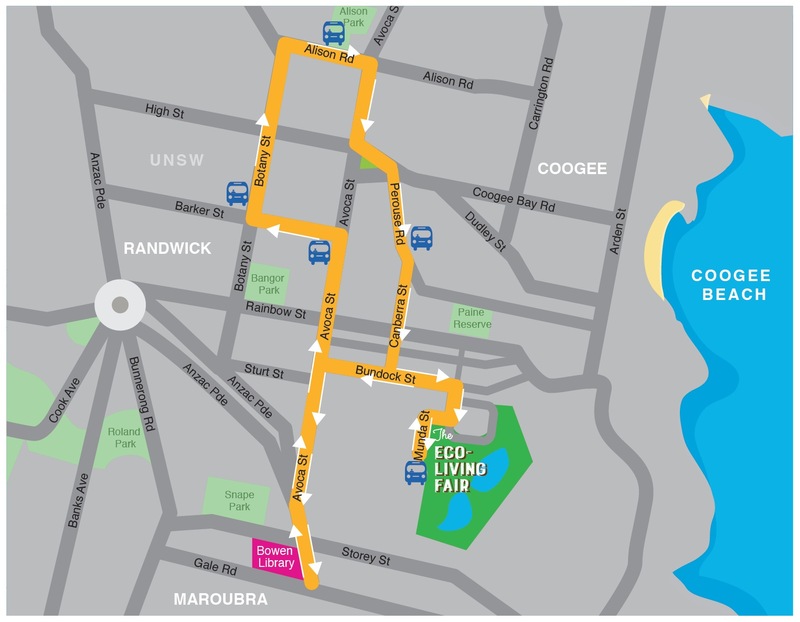 Alternatively, find your way to the Expo by following the colourful flags from Avoca Street or Malabar Road. Free on-site parking if you need to bring the car. Shuttle buses to the Expo will run every hour from Bowen Library (eg. pickup times at 9.30am, 10.30am, 11.30am, 12.30pm and 1.30pm). See map below for further information. Please refer to the location map below for further details of the site.